Jazz at Five is free to the public, we depend on our sponsors to make everything possible! Email eventdirector@jazzatfive.org to be a Jazz at Five sponsor. One of the benefits of being a sponsor is a reserved table for eight each performance evening, waiting for when you arrive. In addition, the Jazz at Five wait staff provides all Sponsor tables food, beer and wine service at their table. Jazz at Five has numerous food vendors on site. Another sponsor benefit is sponsors can pre-order food from the Jazz at Caterer to be delivered hot to your table. Want to bring your own food and beverages – be a picnic site. Jazz can do! 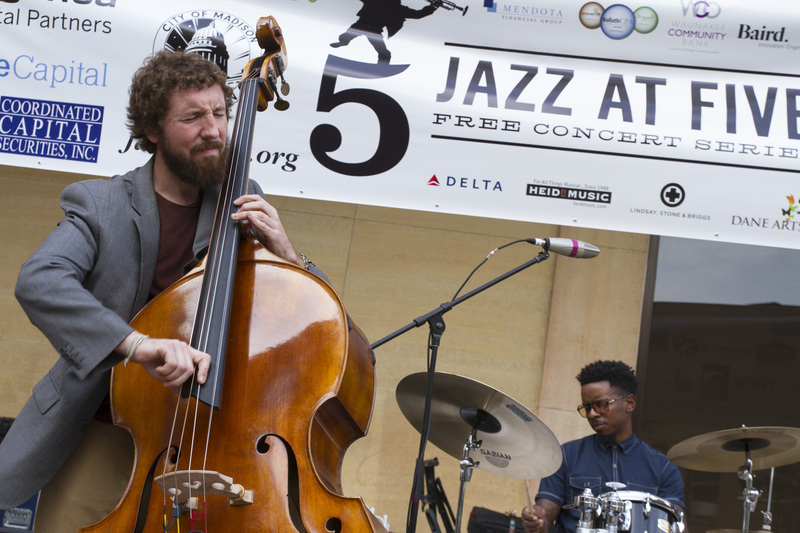 Due to City of Madison laws, no carry-on food or drinks are allowed on downtown city streets but Jazz at Five now has the permits and paperwork to have you–the audience–picnic on the capitol grounds State Park while listening to great music looking down state street to Bascom Hill. A very pretty site indeed. 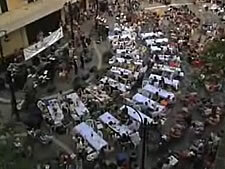 Jazz at Five also has rental chairs on site… but come early the chair demand usually exceeds chair supply. And of course parking… City of Madison parking is available for $5 maximum after 6pm in any cashiered city ramp, several of which are located within walking distance of the Jazz at Five stage. Jazz is not quiet, it encourages dancing, involvement, discussion… improvising… our culture is change is good, diversity brings a better result… no two performances of the same music by the same performer is the same. Jazz at Five Sponsors are the different crowd… venture capital funds, those improvisers in the start up environment… Jazz at Five is a ForwardFest participant. Be different. Change. Have fun! Jazz at Five is a production of Jazz at Five, Inc., a 501(c)(3) charitable organization. All donations and sponsorships to Jazz at Five are tax deductible.